The festive season is quickly approaching and you are invited to get into the holiday spirit by spending the weekend touring the Similkameen wineries! Wine tastings, food pairings, decorated wine shops, local art, gift ideas and holiday joy and cheer await you in the fifth annual Similkameen Country Christmas Winery Open House Tour which runs Dec. 5th and 6th daily from 12-4pm. Caroline Cottrill, President of the Similkameen Wineries Association explained, “Nine of our member wineries will be open and serving up holiday cheer as part of the annual Keremeos Christmas Light Up celebration. 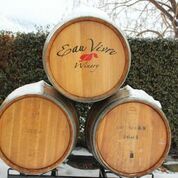 This is a great weekend to visit the area and enjoy touring our wineries.” In traditional holiday open house style, meander through the beautiful Similkameen and visit Cerelia, Clos du Soleil, Eau Vivre, Forbidden Fruit, Hugging Tree, Orofino, Robin Ridge, Rustic Roots, and Seven Stones wineries. At your first winery, pick up a passport to guide you on your tour. Get your passport stamped when you visit each winery and at the end of your tour, enter it for your chance to win a Similkameen wine lovers package valued at over $250. Join Forbidden Fruit Winery for A Fruitful Christmas. Stock up on your favourite wines, local products and browse the selection of holiday wines, gifts, local products and unique art by owner Kim Brind’Amour. Weave your way up the highway to one of the Similkameen’s newest wineries, and visit with the Makepeace family at Hugging Tree Winery. Enjoy samples of their latest wines while you browse the art of family member Jenny Moon and family friend Liz Marshall. Just a stones throw away is Seven Stones Winery where you can enjoy appies with your wine tastings while you shop the delightful selection of library wines, wine gift boxes and magnums. If you want to add a sparkle to someone’s holiday, check out their jewellery, which will be on special with 10% off all weekend long. For the first time ever, they will be pouring samples of their premium wine, The Legend. In addition, head to the Caves at Seven Stones Winery and discover a special show featuring the photography of PhotoHo and the art of Red Sun Design. 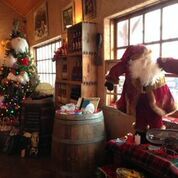 Just a short sleigh ride away is Eau Vivre Winery where you can enjoy some delightfully hot mulled wine and fresh baked goodies while warming up around the fire pit on their patio. Discover Eau Vivre’s latest releases, gift boxes and artisan gift ideas. Ask about their new Wine Club and their latest wine club exclusive offerings available all weekend long. Watch for Rudolph’s red nose to guide you over to Orofino where you can browse their collection of unique gifts and new fall releases as you sip samples of their best wines! Enjoy a taste of their festive Moscato Frizzante bubbly in the tasting room and check out local potter Janet Tizzard’s work on display. If you are dreaming of a wine Christmas. Cerelia Vineyards & Estate Winery is sure to fulfill all of your holiday dreams. Enjoy tastings of all of their latest vintages paired with appies including their house-made wine jellies while discovering the encaustic art created by artist Judy Millar. Soak up the holiday spirit at Rustic Roots Winery where they will be featuring hot, mulled apple cider, wine jellies and Christmas goodies. Enjoy samples of their new Certified Organic wines and ciders surrounded by strings of Christmas lights. Try their latest release, the 2014 Certified Organic Iced Ambrosia Frizzante Wine, western Canada’s only sparkling iced apple wine. Plus browse their gift shop including the unique and gorgeous weather-proof statues created by Judy Chisholm and beautiful blown glass sculptures by Sheryl Blois from Orchid Designs. 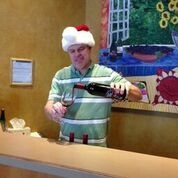 Sing Christmas carols as you meander your way to the beautiful new tasting room at Clos du Soleil Winery. Discover their latest releases and holiday gift ideas. Add a ray of sunshine to all of your holiday stockings with some lovely Clos du Soleil wine. Be sure to soak up the delightful artwork of local artisan Wendy Provins. 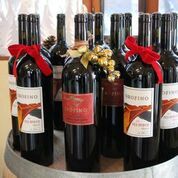 Finally, fly like a bird over to Robin Ridge Winery for some merry Christmas cheer and goodies with your wine tastings. Try their wine jelly preserves, which make the most delightful stocking stuffers. Make sure you enter the draw for a bottle of their Gold medal winning Chardonnay.